They say that in order to live a purpose filled life, one should give back to their community. Helping others is noble and it fills the human spirit. That is what LIUNA Minnesota and North Dakota is doing this holiday season through a number of efforts from toy drives, charitable contributions and the annual LABORERS FOOD DRIVE. Since the beginning, LIUNA has generated over 70,000 meals through this program. 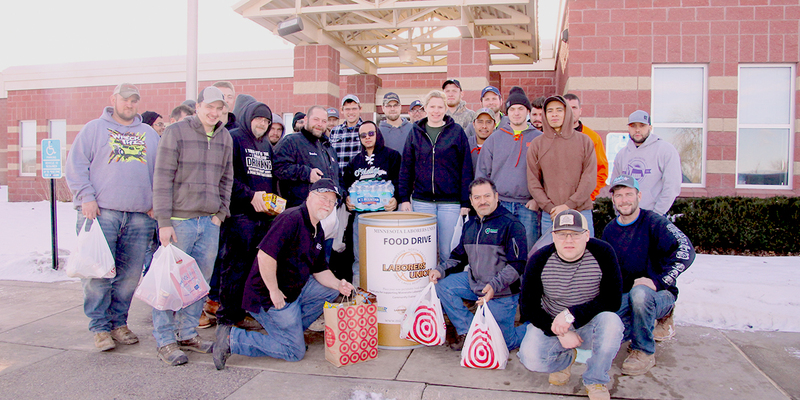 This holiday season, food barrels were set up in Bismarck ND, Virginia, Minneapolis, Duluth, Rochester, the Laborers District Council and at the Laborers Training Center. Non-perishable food donations and contributions were delivered to local food shelves in the area of each collection point.